If you are yet to embrace the utter bliss that comes with a good book, let 2019 be the year you discover your literary side. Very few things beat curling up on the sofa with a cup of tea and a good book! But, as with everything, not all books were created equal. There are some that stand out as masterpieces and will change your life – and then there are others that are best left in the airport. Follow Gretchen Rubin as she explores what it means to be happy. This woman’s book not only inspires and touches all who read it, but has sparked an entire movement. Happiness projects are popping up all over the world with the goal of helping us all lead happier lives. The book is entertaining and thought-provoking and is an absolute must as you dive into the new year. After her runaway success with Eat, Pray, Love, I expect big things from Elizabeth Gilbert. Fortunately, Big Magic doesn’t disappoint. Gilbert offers advice and inspiration to those facing obstacles in their life. The aim? 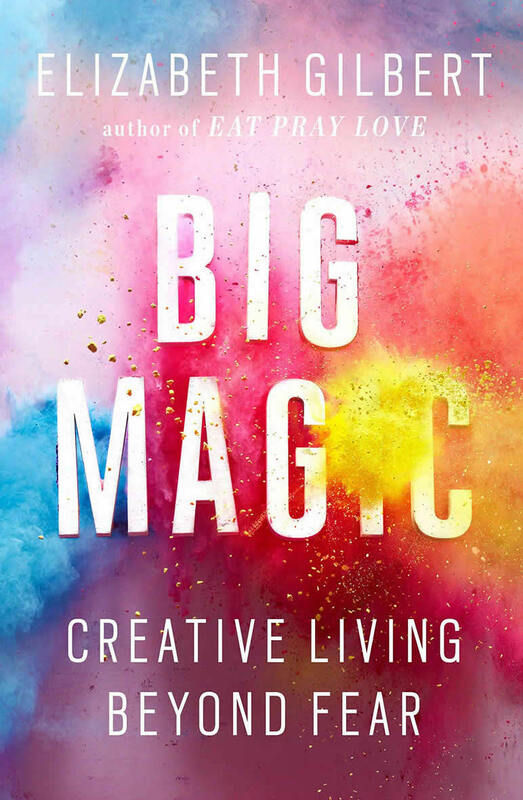 To help bring out your creativity and live a more fulfilling life. If you were looking for an easy to read manual on how to level up your life, look no further. I read this book from cover to cover while I was on set last year and it inspired me to dream bigger than I had in a long time. Clinical psychologist Meg Jay delves into what makes your twenties the best years of your life and how to get more out of them in The Defining Decade. Packed with research, Jay offers advice on your career, love life, personality and more. Let this book fill you with confidence and inspire you to be an even better you! This book will put into perspective so many things for you from relationships to your next job. It’s definitely a game changer! Jen Sincero is a lifestyle guru who has made waves with her work – in particular the best-selling You Are a Badass series. Her motto is simple: don’t accept anything short of your wildest dreams. Sincero harnesses ambition, positivity, and sass in her work to make this one of the best self-help books on the market. Yes, it’s that good. And yes, you need it asap. 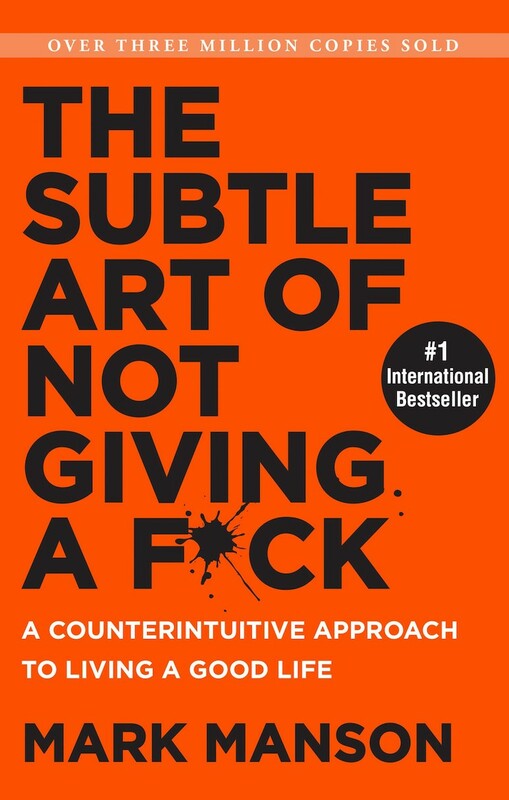 Just as the title suggests, former dating coach Mark Manson teaches us how to stop caring so much about everything. It’s definitely easier said than done, but he writes in a way that makes you feel like you can totally get out of your head. He writes that you are more likely to get what you want out of life and work when you chill out a bit and also writes that it’s ok not to be exceptional so long as you can be happy. That’s something we can all get on board with, right? You might scoff at the idea that tidying up will do anything but annoy you, but Marie Kondo’s millions of fans think otherwise. This book explains her KonMari method of tidying and organizing your clutter. She says that when your living space is in order, good things will happen. Within reading just a few chapters of her book, I cleared out over five huge garbage bags full of stuff. Let’s just say that this book changed the game (or at least how crowded my teensy tiny New York apartment is).